When Jake has to get Lady Rainicorn on the train to cure her illness, they’ll come across some shady characters on the Ooorient Express! Lady Rainicorn has come down with a case of taffy fever and there is nothing Jake can do to help her. After many failed attempts with Princess Bubblegum, Finn and Jake learn of a special cure that can help Lady Rainicorn get back to normal. The catch? They will have to travel on the Ooorient Express on an infamous train ride that no one returns from . . .! 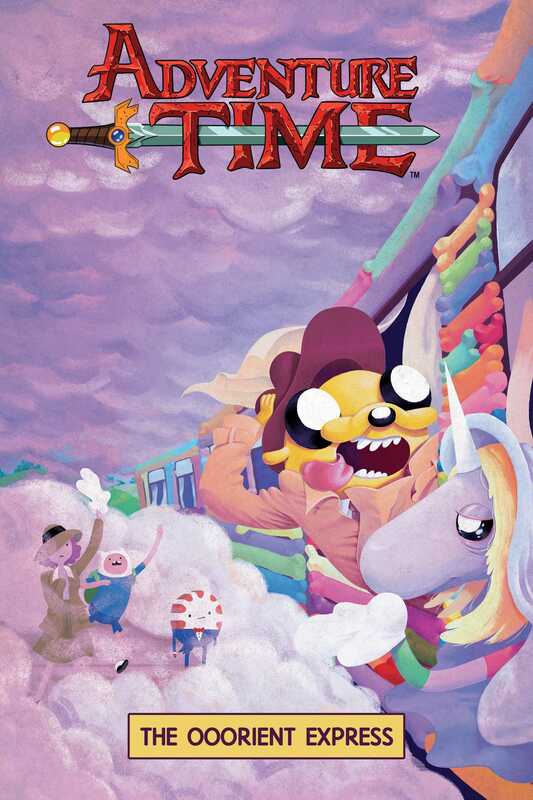 Candy, suspicious conductors, and weird science make up this all-new Adventure Time saga written by Jeremy Sorese (Steven Universe, Curveball) and illustrated by Adventure Time veteran Zachary Sterling. Don’t miss out on this action packed journey based on the award-winning show on Cartoon Network!